Five years ago, a group of mercenaries disbanded after a failed mission. Fast forward to the present, their leader, Lion, is now a modern-day Robin Hood, stealing medicine to supply a refugee camp. However, a life-saving drug he needs is being held by a foreign intelligence agency. Lion then reunites his team in Budapest to stage the heist-of-all-heists. 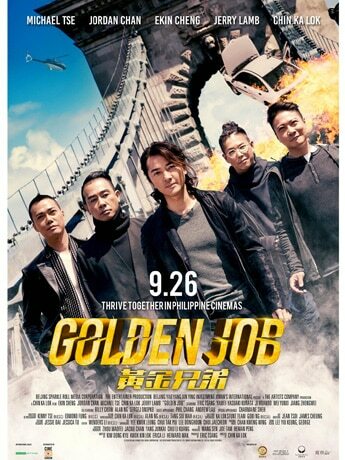 Catch "Golden Job" in cinemas this September 26! 'Ocean's Eleven,' 'The Fast and the Furious,' and 'Mamma Mia' in 1 movie? YAAS!